Starting Chance is a non-profit organisation and in order to continue the work we are doing in the Mfuleni township, we are reliant on donations and support from our partners, donors and friends of Starting Chance. As we grow and increase the number of schools, these partnerships become increasingly important. 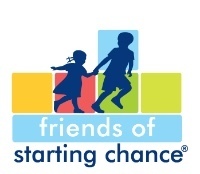 We are humbled by the trust that our ‘Friends of Starting Chance’ have in us and the work we do. If you would like to join Friends of Starting Chance and get involved in the work we do please contact us. We would love you to be part of this incredible team. CLICK TO BECOME A FRIEND! We would love to hear more about you and how you would like to help support what we do? Please expect an email from ali@startingchance.org.za on our current projects and needs.